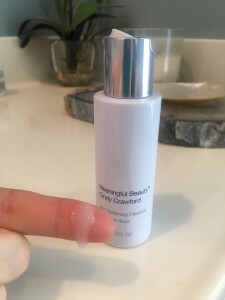 I have two things to confess, one is I am absolutely LOVING Cindy Crawford’s Meaningful Beauty skin care, and two, I can’t believe it’s been around for 10 years and I’m just now trying it! 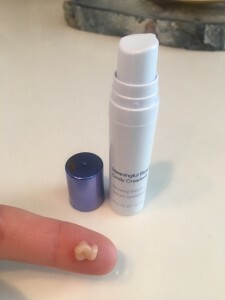 After I used them for a couple of weeks, I posted on Facebook about how much I liked them and how soft my skin was, and I couldn’t believe all the comments I got! Women of all ages commented on how much they love the Meaningful Beauty line and many of them have been using it 3, 5, even 8 years or more!! You can read these testimonials on my Facebook page. 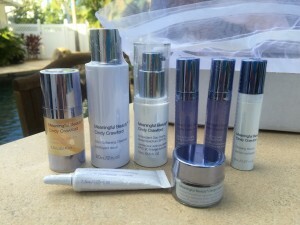 I have over 1,000 product reviews on WomensBlogTalk.com and I have never gotten so much positive feedback on a skin care line. To me this speaks volumes that women who try Meaningful Beauty love it, and often become loyal, lifelong customers. When I was a teenager, Cindy Crawford was one of the world’s top supermodels. She was gorgeous then, and she’s hardly aged at all! She’s 48 years old and her skin looks astonishingly youthful and radiant. Her secret is her relationship with Dr. Jean-Louis Sebagh, known as a world expert in medical anti-aging, and the two revolutionary anti-aging ingredients he formulated exclusively for Meaningful Beauty. Since its inception, Meaningful Beauty’s claim to fame has been a powerful super anti-oxidant or “youth molecule” extracted from a rare melon from the southern coast of France. More recently, Dr. Sebagh made a new discovery in the same region of a rare orchid known for thriving in harsh conditions. These rare and beautiful orchids often live for more than 100 years due to their remarkable longevity molecules. 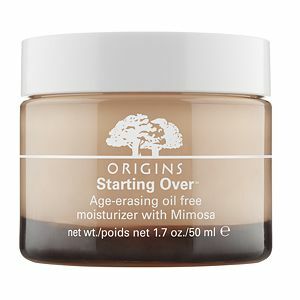 They’ve been able to isolate these longevity molecules into “youth messengers” within the Meaningful Beauty line to give your skin the same benefit. Below is my review of each of the five pieces that I received, plus the two free gifts! The first shipment I received had sizes equivalent for one month of use (larger than travel size, but not a full size, shown in the picture on the left, or above on mobile). Since I signed up for a shipment every 90 days, my next package will be full sized (and I can’t wait)! I wanted to first show you the insert that came with my package. Click Here to show the picture. It’s actually waterproof! So you can keep it in your bathroom and not worry about it getting wet. This step by step guide shows you exactly what you should use in the morning and at night and is what I reference in my review. Everyone seems to love the Skin Softening Cleanser. It’s a gentle, creamy cleanser that whisks away makeup and impurities while leaving the skin soft, hydrated and feeling refreshed! 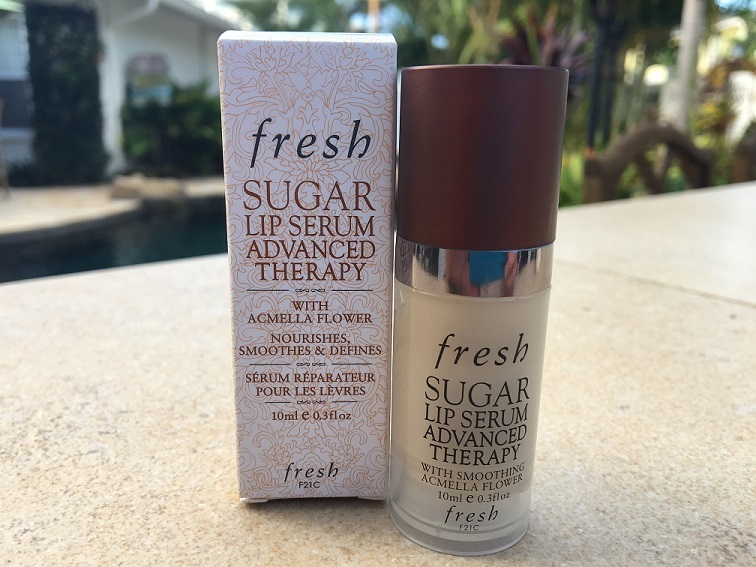 The formula is oil-free and fragrance-free and contains a unique apple extract that helps minimize the signs of aging and is designed not to strip the skin of essential moisture. It’s gentle enough to be used alone as a makeup remover, yet strong enough to strip away dirt and debris. This was the first product I tried in the Meaningful Beauty line, and I couldn’t believe how soft and supple (and clean!) my face was. You can either apply to a dry face and remove with a warm washcloth, or you can apply to wet skin. I always like to mention that my eyes are extremely sensitive (I actually have rosacea/blepharitis of the eyes) so I have to be careful with what I cleanse my eyes with. Washing my eyelids with this cleanser causes me no irritation whatsoever and it removes makeup really well! I’m actually thrilled to have a gentle cleanser that I can use on my entire face that maintains my skin’s pH balance. You will definitely notice your fine lines diminish after using the cleanser! 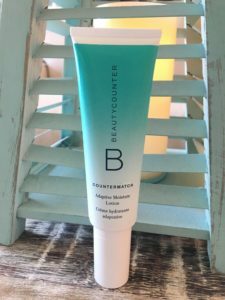 I noticed it especially on my cheeks under my eyes, it just looks smoother and takes away any redness (I’ve heard from several women these products are also great for rosecea). This is Cindy’s most loved product! The presentation of this serum is a beautiful intertwined mix of both a potent serum and a rich, moisturizing cream. Crème de Sérum contains the rare melon extract along with peptides, hyaluronic acid, collagen and Vitamin C, all of which are extremely beneficial for fighting the aging process and protecting from environmental elements. I followed Cindy’s instructions and used this one at night after cleansing. Two small pumps was all I needed to moisturize my entire face and neck. It feels luxurious and has a very light, sweet smell. It’s designed to promote a smoother, more even toned, radiant complexion while leaving the skin very soft and supple. I absolutely love the light, silky texture of this cream. It’s all you need for a nighttime treatment, although you can wear it during the day if you like. Here’s where that rare orchid makes its appearance! The Ultra Lifting and Filling Treatment is a powerful, dual-action anti-aging serum that visibly lifts the skin while also acting as a line filler to smooth out the look of fine lines and wrinkles – yes please! The exclusive orchid extract is designed to enhance collagen and elastin production in the skin for a firmer, more lifted look. We all need help with collagen boosting – after you hit 30, collagen production is cut in half and it drops at an alarming rate from there. This serum also contains the rare melon extract, along with the same ingredient most commonly used in injectable fillers to plump, hydrate and fill in the look of lines and wrinkles – a true youth serum to make you look younger! This serum has the most delicate floral scent and just glides over the skin effortlessly and absorbs quickly. All of these products have a light, luxurious feel to them which I love! 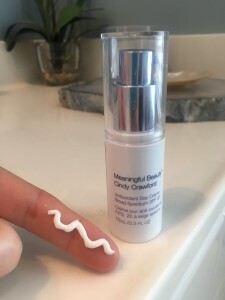 I followed Cindy’s instructions and used this serum during the day after cleansing and before applying the Wrinkle Smoothing Capsules and then the SPF 20 Antioxidant Day Cream over both. 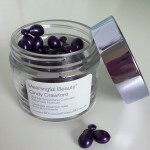 The Wrinkle Smoothing Capsules are absolutely AMAZING! I am so glad I chose this product as one of my gifts. If I had to choose a favorite product of the entire line, this would probably be it! These tiny “time capsules” leave your face feeling instantly smooth and hydrated and have a “blurring” effect that just makes your skin look fabulous even with no makeup on! The advanced formula of the capsules contain the exclusive melon extract and work to target facial expression lines, visibly smooth, hydrate, plump, and fight free radical damage. I used this in the morning after cleansing and after applying the Ultra Lifting and Filling Treatment. It’s super easy to apply – you just break one capsule apart and it gives you just the right amount for your face and neck. I also like the capsule form because it keeps the ingredients fresh and potent – no air touches it until you open it. I liked this one so much that I added it on to my 90 day regular shipment so that I’ll receive the large, 60 capsule jar. So for an additional $24, I’ll receive all 5 of the other essentials plus this one (you can omit products if you wish, and pick and choose – it’s great!). I can’t stress enough the importance of using an SPF daily. Nothing will age you faster than the sun’s harmful rays (aside from smoking). I live in South Florida and it’s a must! I’m constantly battling the hyper-pigmentation along my jawline and upper neck (right under my ears) so a daily slathering of protection is my ritual. The Meaningful Beauty Antioxidant Day Crème Broad Spectrum SPF 20 is perfect for daily use. It has a lightweight, micro-emulsion formula that not only protects your skin, but treats your skin with a powerful blend of antioxidants to protect against premature aging. Of course I was happy to learn that it also contains the signature ingredient, the exclusive micro-encapsulated melon complex! It also does not smell like sunscreen – it smells similar to the Crème de Sérum and it does not leave you greasy at ALL. 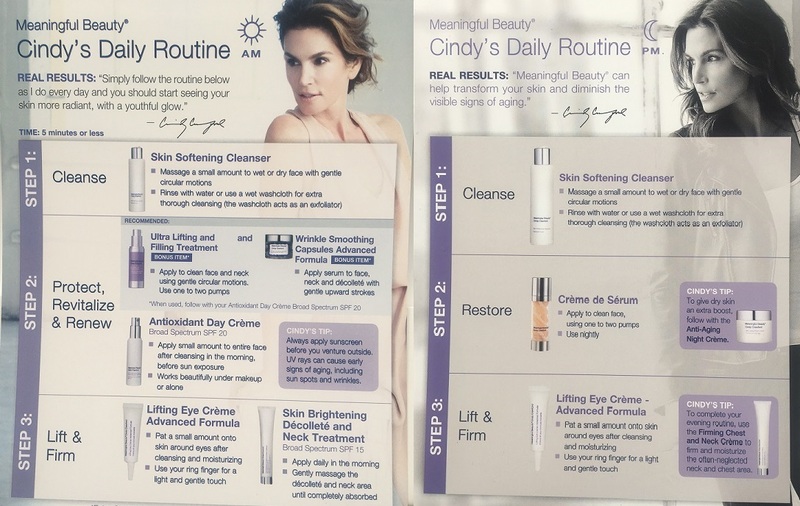 Cindy’s instructions for daytime is to cleanse, apply the Ultra Lifting and Filling Treatment, the Wrinkle Smoothing Capsule, and then the SPF Day Crème. It sounds like a lot, but it’s not! These products are light and layer perfectly. 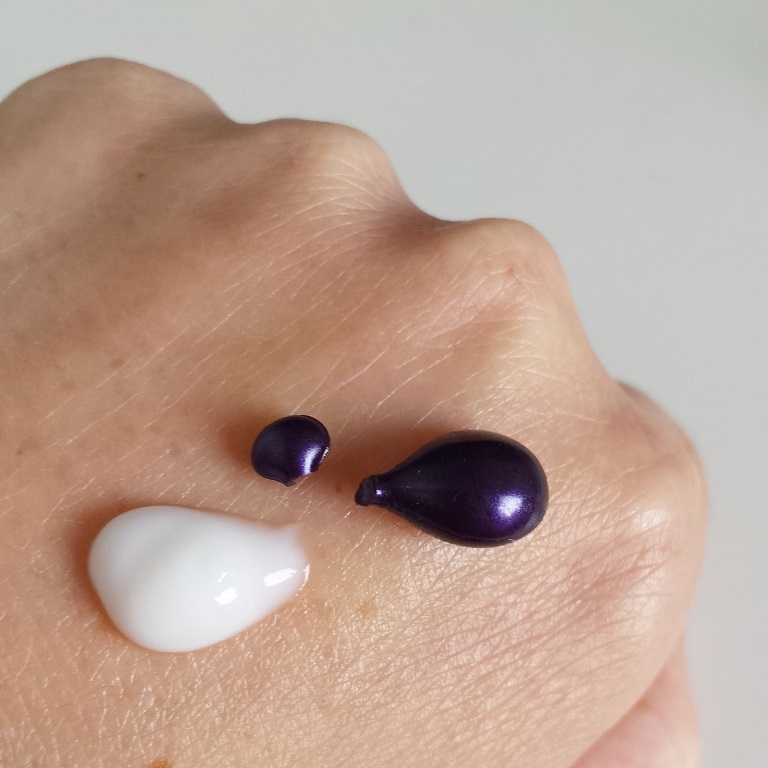 The last step is to apply the the Lifting Eye Crème, and voila! You are ready to apply your makeup to a flawless foundation. The Glowing Serum is a powerful lightweight serum designed to leave your complexion with an instant glow. Dr. Sebaugh calls this the “model’s secret” since it gives an instant look of radiance! 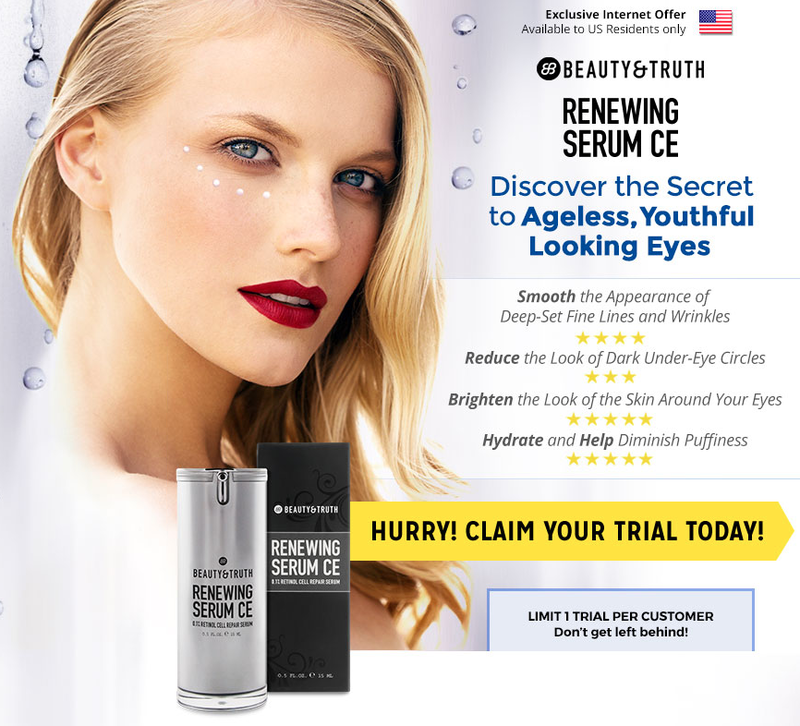 The Glowing Serum contains pumpkin extract, potent firming agents, Vitamin C (powerful free radical scavenger) and soy protein for radiantly youthful looking skin. The serum has a similar feel to the Ultra Lifting and Filling Treatment – lightweight and absorbs nicely into the skin. It definitely gives a boost to dull looking skin. I used it one day when I was feeling/looking a little tired and it gave me a nice glow. It’s subtle but you can tell a difference when you use it. Your skin will feel moisturized and a bit more dewy! 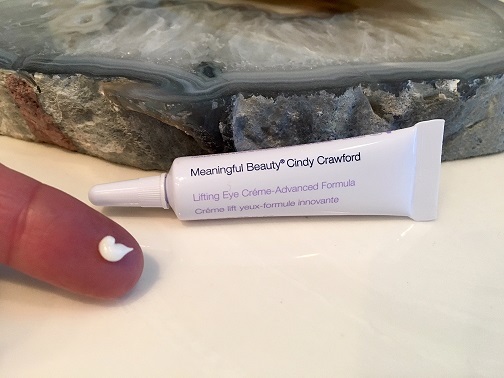 The Lifting Eye Crème is a multi tasking product designed to smooth fine lines and wrinkles, reduce puffiness, reduce dark circles, moisturize and firm. This is a gentle but effective eye treatment that you can use both underneath your eyes and on the upper eyelids. Trust me, if my sensitive eyes have no issue with this eye cream, no one will! It’s fragrance free and doesn’t bother my eyes the slightest bit. 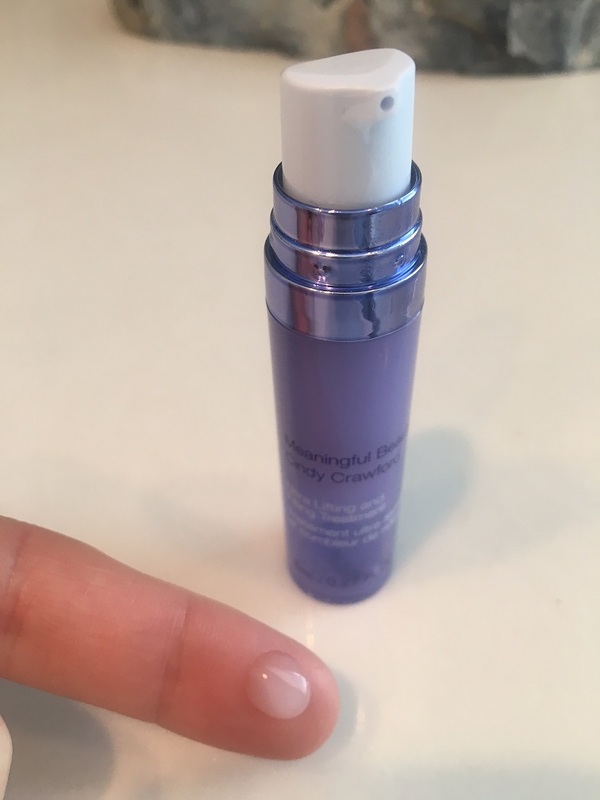 This creme has a silky, light feel and absorbs nicely. It immediately plumps up those pesky fine lines around my eyes and creates the perfect palette to apply my concealer. The Lifting Eye Crème contains its signature ingredient, the rare melon extract, which quenches dry skin and fights free radicals with its anti-oxidant powers, along with Omega 6 to strengthen skin, grape seed extract to soothe and moisturize, and an anti-puffiness agent. Note: If you have deeper wrinkles or crow’s feet, Meaningful Beauty also has an “Eye Enhancing Serum” that is meant to be used underneath the Lifting Eye Crème, or alone. So, you could swap out a product for this one, or add it on to make your special order perfect! You can purchase the 5-piece set that I bought for $39.95 from the Meaningful Beauty Official Website. There is also a 7-piece set for $49.95 which is a great deal since you will receive 2 free gifts no matter which package you choose. You can purchase limited items at Ulta but it’s much cheaper online and you’ll have access to the entire skin care line. The Skin Softening Cleanser alone is $30 at Ulta or $79 for the 5-piece set (vs $39.95 online), so you’ll pay about 40% more buying it at Ulta. Once you order the initial 30 day supply, they will later send you the larger sized products which you’ll receive every 90 days, so be aware that this is a membership, however you can cancel at any time. You have the choice of spreading the payments out (keeping on a monthly billing schedule) or just having them bill you every 90 days. It’s just a personal preference. They also offer a money back guarantee so even if you’ve used the products they will give you a full refund if you’re not happy. Helpful Hint: Once you receive your first shipment, you’ll receive a small catalog of all of the products available so you can pick and choose what else you might like, or omit. For example, you may want a skin lightener, an exfoliator, glycolic peel pads, a blemish treatment or mask! I love having options! If you can’t tell already, I think Meaningful Beauty is a fantastic skin care line, and an affordable one! 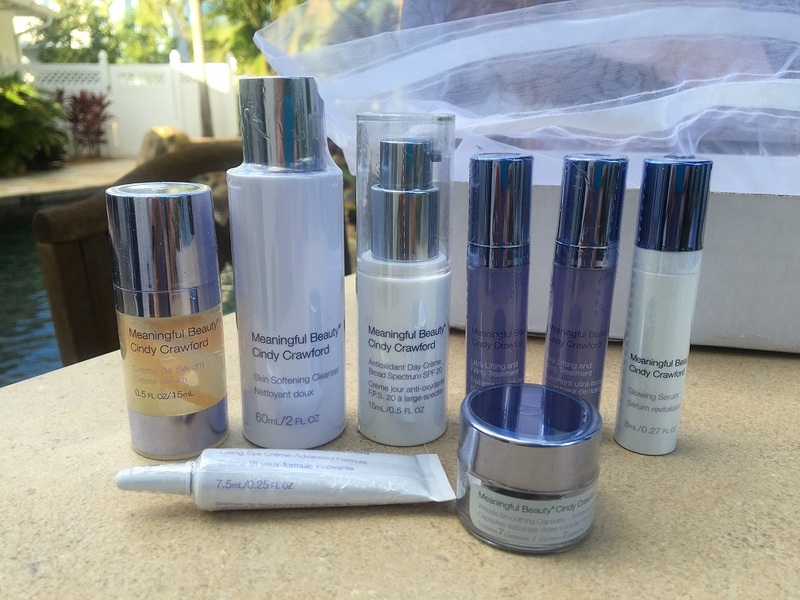 They use high quality ingredients, and they have products to cater to every skin care need. I would highly recommend this line to anyone, no matter what their skin type is. It’s great for dry/aging skin, sensitive skin, those with rosacea, photo damaged skin, or even acne prone or oily skin since the products are so light weight. There are some great options for every skin type or problem you’re trying to treat, and they have amazing customer service! When I called to change my order, the agent was very patient and accommodating, going over every detail of my order and spelling it out in black and white. 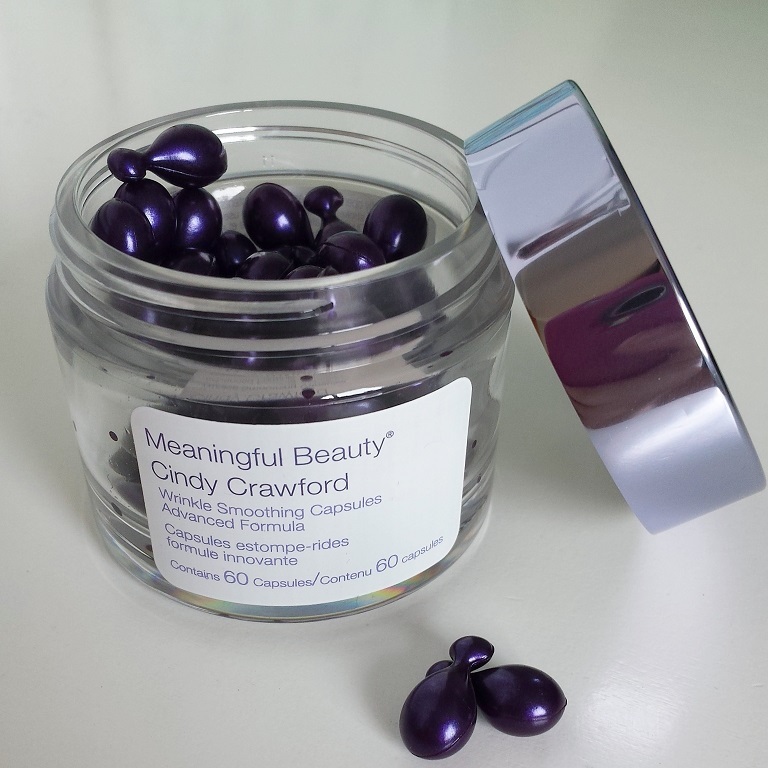 Have you used Meaningful Beauty? Please leave a review, comment or question below! I just received my package. First thing I tried was eye serum. Unbelievable!!! Next was dark spot cream. Again, unbelievable. This is only five minutes. Can't wait for future results. Thank you. Been using six months and it's completely changed my skin for the better. My redness is gone and my fine lines are non existent. People always ask me what I'm using! Won't use anything else. I can't say enough about this line, I've used it 5 years. Once you try it, you'll never change your skin care again. Just look at her! You know she's doing something right! I've tried her products now for about 6 months and I see a difference! My skin is softer, more supple and my wrinkles are less noticeable. I think it's a bargain for an ENTIRE skin care system. For sensitive skin her line is a winner! Thanks Cindy I hope you see this message, thanks for making a great skin care line that is easy to use. I've been using Meaningful Beauty for 8 years, you read that right. Her skin care has been around a long time and it keeps getting better as she adds products to the line up. There's not one product in her line that I've used that I didn't like or didn't agree with my skin. My two faves are the skin softening cleanser, and the two eye treatments. Ok so that's three 🙂 My skin has never looked better. I've used Meaningful Beauty for five years and there's been nothing better that I've tried. It leaves my skin soft and helps calm redness. I have mild rosacea and all the products are very gentle for my sensitive skin. Love the Creme de serum for night time and I often use it during the day as well. Best line! Been using it for 8 years and wouldn't use anything else. Love all the products, especially the skin softening cleanser and serums. Really good quality for the $. 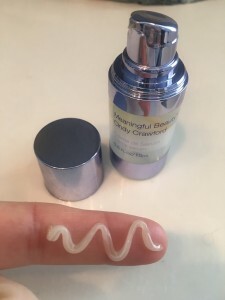 Beauty & Truth Anti-aging Cream Review, Truth or SCAM? Hi, I’m 63 years young and today I was told I look like I was in my early 50. Wow thanks meaningful beauty. I am 65, I have very very dry skin and live in a very dry climate.deep wrinkles, and sagging skin on My face and neck. I need help. I have tried many products. Suggestions please. It is the BEST eye cream ever! What are the 4 companies you would recommend for skin cream? Question: How do South Africans purchase Meaningful beauty products? Has anyone from SA purchased before? If this product really works why don’t they send the sample kit of 5 products (plus 2) without asking for a credit card number? Any product advertised on the web should be free of charge and shopping if they truly believe in themselves. I would never put my information out there if I have never used the product before and I’m certainly not paying double for it elsewhere if I haven’t the slightest clue if it works. I’m highly suspicious of any company that has to sell you products via an auto delivery process. They are hoping that it will take time for you to cancel if you don’t like the product. If they were truly legit they’d let you order what you wanted without the hook of auto delivery attached. I avoid all of these offers like the plague, which is what they are to me. Is that your testimony regard Cindy Crawford skin care line saying it was great? But yet you warn of companies charging over 100 dollars within 30 days to your card and continuing every month or so. They do the same as all the other ones but yet you endorse it. Please explain why you endorse this practice with your credit cards for this one but warn of all the other ones. Connie, thanks for your email. There is a huge difference between signing on for a trial that you think is free, with a 12 day trial period, and then getting billed unknowingly for a complete crap product, and actually signing up for a legit 30 day trial such as Cindy’s Meaningful Beauty. She makes a great skin care line and has been around for over 10 years with many happy customers. With a 30 day trial, you have time to try the product to determine whether you like them and want to keep them, or call to cancel, and there are only a few legit 30 day trials for skin care out there (I only know about 4 good ones, this one included). There are hundreds of those short term scam products. I literally have a spreadsheet of over 140 names of these scams. Meaningful Beauty is not a scam company. Nothing is free, it’s only free during the trial period. There is just no comparing Meaningful Beauty to a scam company who makes wrinkle creams with lord knows what out of a garage in Pakistan or South America with absolutely no customer service, no chance of cancelling, no chance of returns, etc. They are out to bill you on day 12 and then move on, changing the name of the cream every 2 months to keep the scam going. I hope this makes sense. I think Cindy makes a great product, I just got my second shipment with all the full size products and was billed accordingly. I knew exactly how I would be billed going into this trial and I hope I made that clear in my blog post. She also does a great job explaining the billing once you order. There really should be no surprises with this skin care line. Let me know if you have any more questions, I’m happy to answer.